At the parallel event of Trends in Tooling, the link is made between practice and theory. It will be a day full of inspiring sessions on trends and developments within ITSM tooling, automation, integration (SIAM) and reporting in the presence of various tooling vendors. The Trends in Tooling event offers a unique opportunity to exchange knowledge and experience during the inspiring sessions and contacts with other professionals. 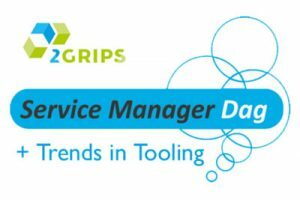 Cor Winkler Prins, CEO at 4me inc. will be keynote speaker at the Trends in Tooling event that will be organised at the same time as Service Manager Day. He’ll be talking about “The Influence Of Digital Transformation On Service Management”. Want to be there? Contact 2Grips using the contact form to get your promotion code.